As of Dec. 31th we no longer sell the TP8000Ex - we will still support service, accessories and spareparts until further notice. Denne gang søger vi en softwareudvikler. 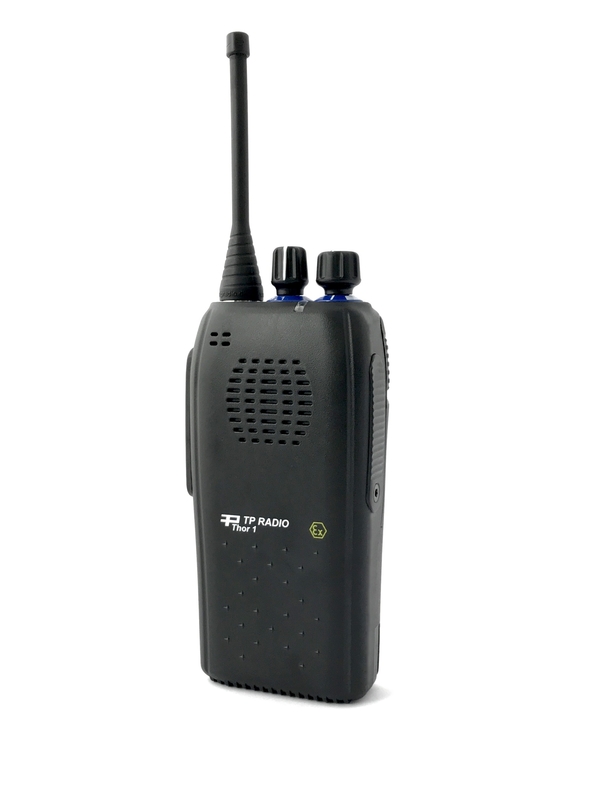 In this new software we have added "Voice Announcement"
As seen in the video above, you get a battery status and channel number feedback when turning on the radio - furthermore you can get a "man down" warning, channel number when changing channel, etc. Please contact sales to hear more about this new software and its possibilities. Det er vigtigt at du er frisk på mange forskellige typer arbejdsopgaver og har hænderne godt skruet på. Du skal ligeledes have en sund fysik idet nogle af vores produkter kan være en smule tunge. Som montrice hos os kommer man rundt om alle produkter og jobbet kan bestå af alt fra montering af print, pålodning af komponenter samt samling af kabler og kabinetter. 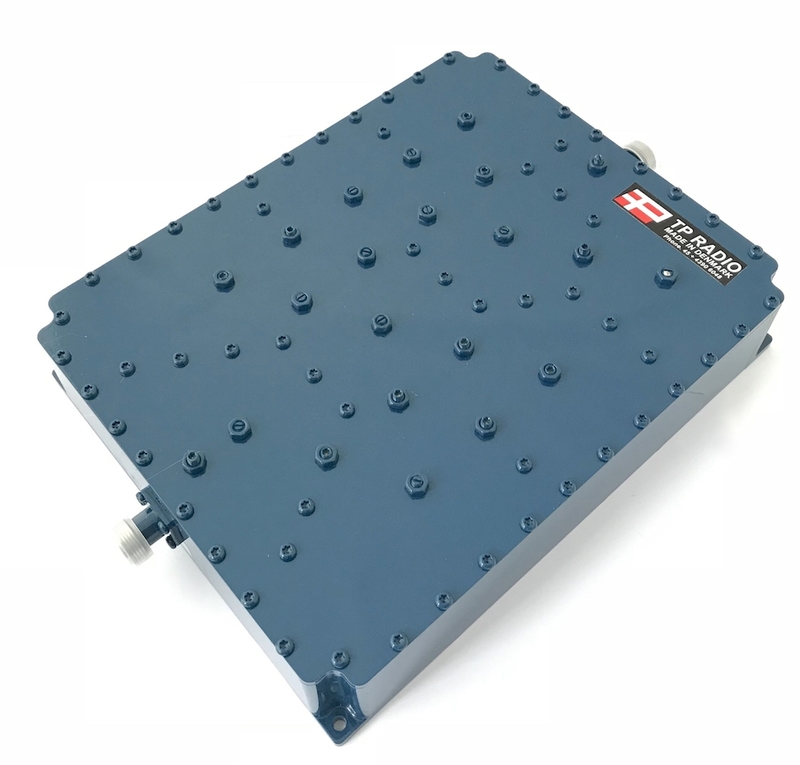 The RF-filter is durable and a cost benefit in regards of other solutions. Please contact sales to have a chat about this new product and what it can do. As of 01.02.18 our service charge will be 750 DKK / 100,81 EUR per. commenced hour. Pr. 01.02.18 foretager vi en prisregulering på servicetimer. Således at prisen fremadrettet vil være 750 kr. ekskl. moms pr. påbegyndt servicetime. 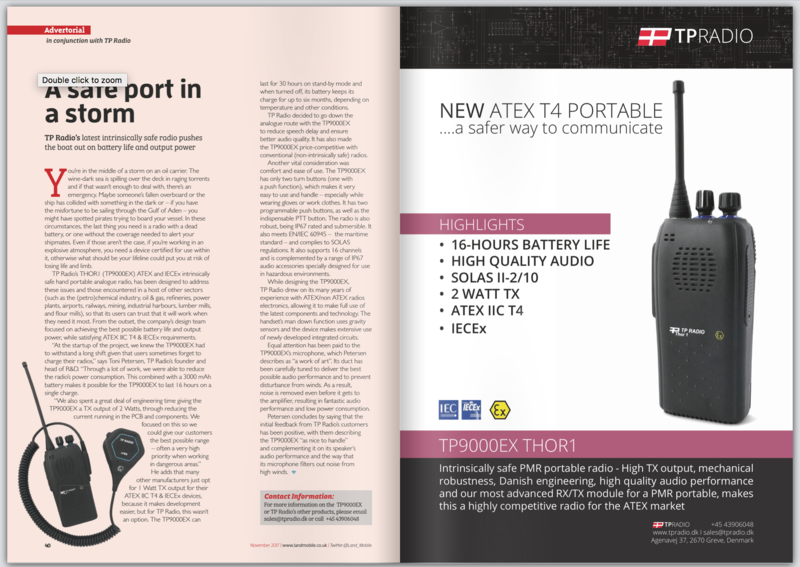 This week we are launching our new ATEX T4 Portable radio (TP9000EX) which we named THOR1 - the most advanced and best RX/TX module ever made in a portable radio, makes this one of the best ATEX T4 portables on the market. EN 60950, EN/IEC 60945, EN 301.489, EN 300.086 & EN300.720 (analog part). This week we can celebrate a 10 year anniversary, for two of our employees. We are about to launch a new website, so a lot is going on right now - all products are being re-photographed and categorised. Please dont hesitate to contact us, if you have any question.